Thomas/Boyd provides strategic communications guidance and counsel offering development and community relations support for the $90 million Ray and Joan Kroc Corps Community Center. Opened in the heart of the Cramer Hill section of Camden in October 2013, Thomas/Boyd played an instrumental role in this game-changing community center from its initial conception through construction and its grand opening. 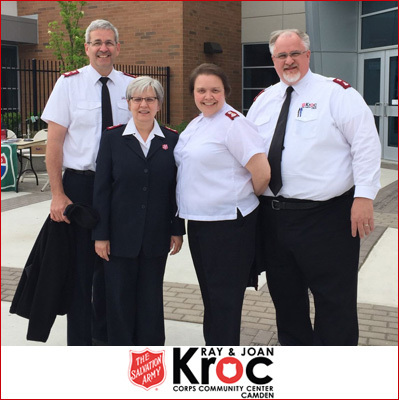 Most recently, we worked with White House officials to assist in logistical planning and press relations for President Barack Obama’s visit to the Kroc Center, where he lauded its contribution to the revitalization of Camden. We handle all media relations efforts and launched a successful relationship with the online editor of the Courier-Post, extending our message and reach to the three counties that are served by the Kroc Center – Camden, Burlington and Gloucester. We also coordinated and produced special events marking major milestones in the Kroc Center’s progress, including working with Wells Fargo, Campbell Soup Company, NJ American Water and Subaru in announcing significant gifts. We have worked with the mayor’s office and other county and state officials to keep them actively involved and informed of the Center’s progress and achievements.